Medication-assisted treatment (MAT) is an approach that many doctors use to treat substance addictions, particularly to opioids, like heroin and many prescription medications. Many doctors believe this style of treatment to be more effective than non-medicated detoxification options, but there are those on the other side of the argument as well, saying that this is just replacing one drug with another. Here’s what you need to know about MAT to help you determine if it is right for you. MAT involves the use of various medications to help treat substance abuse disorders. In most cases, the medication is combined with behavioral therapy to help reduce the chance that the patient will relapse, turning back to drugs again in the future. This style of treatment is approved by the Food and Drug Administration (FDA) for use in patients suffering from substance addiction. Several different medications are commonly used in MAT. We will discuss them in greater detail later in this article. These medications are designed to help reduce drug cravings and mitigate the negative symptoms of substance withdrawal. For many patients, substance addiction is not their only medical problem; many of them have other conditions as well, including HIV, AIDS, Hepatitis and more. Because of this, detoxifying without medication can be incredibly dangerous. As their bodies are already weakened by other medical issues, the difficult detox process can be too much for their systems to handle. This can result in further complications, up to and including death. Using medication to assist in the detoxification process can make it much easier for the patient. After the detox is complete, the patient must return to the clinic for future doses. However, with ongoing treatment, patients have a much better chance of beating their opioid addictions and going on to live healthy, happy lives. The behavioral component of MAT involves individual or group therapy to help patients identify the causes that drove them to use opioids and other drugs in the first place. By determining these triggers, the patients are better equipped to avoid them going forward. These sessions also teach patients healthier ways of coping with their problems, like exercise, meditation and other techniques. Of course, it is a constant uphill battle to recover from addiction, but the combination of medication and behavioral therapy shows great promise. What Substance Addictions Is Medication-Assisted Treatment Used to Treat? And many other prescription pain relievers. Of course, there are many other opioids than it would make sense to list here, but those above are some of the most commonly used and abused. Although opioid addiction is the most common use of MAT, this style of treatment can also be used to treat alcoholism and to help people quit smoking cigarettes, among other uses. Is There Evidence That Medication-Assisted Treatment Works? Many patients who go through MAT can remain clean for years on end. Because the medications used in the treatment help to quell cravings, these patients are far less likely to go back to their previous vices than their counterparts who go through treatment without relapse-prevention medications. NPR reports that more than 90 percent of patients who detox naturally will relapse at some point in the future. Although there is not much data yet on the effectiveness of MAT in preventing relapses, doctors across the country are singing its praises, saying that they see huge differences in their patients on these types of programs. As more and more patients engage in MAT, it is likely that the positive results will continue flowing in. What Are the Drawbacks of Medication-Assisted Treatment? Of course, MAT is not without barriers to its success. One of the key issues in this area is that the patients must come back on a regular basis for treatments. For those who struggle with addiction, it can seem easier to purchase drugs on the street than to go through all of the medical protocols required for MAT. The more frequently a patient has to come back for a new dose, the more likely they are to abandon treatment and relapse. In the past, patients had to visit a clinic every day to get their medication, making this treatment method incredibly challenging. More recent developments have introduced injections that the patients only need once a month. This makes it much easier for patients to continue to comply with the program. In addition to making it easier for patients to keep up with their treatment schedules, these monthly injections also make it easier to get the medications to the areas most in need, particularly rural ones. Treatment options in these areas, often the hardest hit by the opioid crisis, are typically few and far between, making it difficult for patients to get the treatment they need. When they only have to travel to a clinic once a month, it is much easier, especially if the closest treatment facility is a long distance away. Adding to the complications of MAT is the fact that only about one-third of addiction treatment programs in the United States provide this service. This is quite abysmal when you realize that more than 4 million people in this country alone are addicted to opioids. Worldwide, that number is even higher. The opioid crisis continues to make headlines on an almost daily basis, and it is showing no signs of slowing down until everyone who needs treatment can access this vital service. In addition, Medicare does not currently cover access to most opioid addiction medications, meaning that seniors who are on the program will have to cover the costs themselves. This puts added strain on this already-vulnerable segment of the population, making it harder than ever for them to access the care they need. 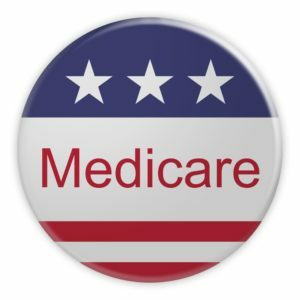 Although Medicare does cover buprenorphine, there are not many Medicare doctors who offer this service to their patients. In a recent address, Azar vowed to work to expand access to MAT across the country. In addition to opening more clinics and introducing the treatment method in more of the existing treatment facilities, he also intends to collaborate with the FDA to create even longer-acting medications than the current one-month injections. By expanding access and making the treatments last longer, the hope is that addiction rates, hospitalizations and deaths will drop going forward. What Medications Are Used in Medication-Assisted Treatment? 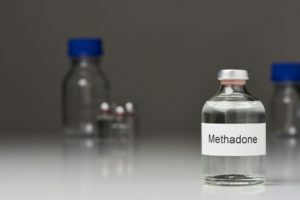 Methadone – Methadone is the most well-known of opioid addiction treatments. It comes in a liquid form and must be taken daily at a specialty clinic. This type of treatment prevents withdrawal symptoms, but it does not block the effects of other narcotics that the patient might be taking on the side, limiting its efficacy. Naltrexone – Naltrexone is known as an opioid antagonist. This means that it blocks the effects of narcotics, minimizing the risk of overdose, even if the patient continues to use drugs while undergoing the treatment. It comes in pill form, and the pill must be taken every day. It is also available as a monthly injection. This type of medication is non-addictive, making it suitable for use in treating substance addicts. Buprenorphine – Buprenorphine is one of the newest addiction treatment medications on the market, and it is rapidly growing in popularity. Like Naltrexone, it is an opioid antagonist, blocking the effects of other narcotics. However, what sets buprenorphine apart is that it also diminishes withdrawal symptoms, providing a comprehensive approach to treating substance addiction. There are several options for taking the medication, including a daily pill, a cheek film and a six-month under-skin implant. Suboxone – Suboxone is a variation of buprenorphine, combined with naloxone. The buprenorphine portion minimizes the effect of cravings without giving the user the high that they get from other opioids. The naloxone component blocks opioid receptors, preventing the user from overdosing and making it less likely that they will abuse the drug. This type of medication is available in pill form and also as a dissolving film. It must be taken daily. Other medications are sometimes used in MAT, but these are the ones that have been approved by the FDA thus far. Every patient is different, and they respond to medications in different ways. Your doctor or addiction treatment specialist will work with you to find the best treatment method to meet your needs. Why Is There Such a Stigma Associated with Medication-Assisted Treatment? Despite the positive response to MAT, there are still those who speak out against it. 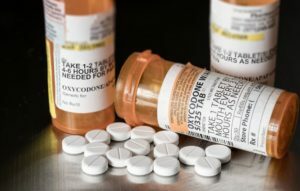 Tom Price, the Health and Human Services Secretary before Azar, said, “If we’re just substituting one opioid for another, we’re not moving the dial much.” Many other medical professionals share this sentiment. Those on this side of the argument believe that using medication as part of addiction treatment is only giving the patient a new, albeit healthier and safer, addiction. Besides, many patients are reluctant to seek this type of treatment, echoing the ideas of MAT’s opponents. 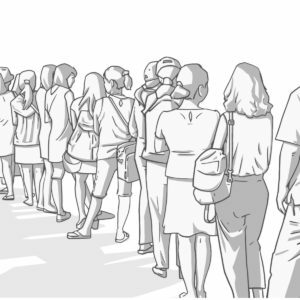 When people are in recovery from addiction, they don’t want to stand in line at a treatment facility every day to get their medication. Because their goal is to be drug-free, this process can seem a bit counterintuitive. However, the evidence has shown time and time again that straight abstinence treatment programs are not nearly as effective as MAT. In addition to expanding treatment options, the current goal of MAT proponents must be to change the public perception around this type of treatment method. As the stigma is lifted, it is likely that more individuals who suffer from substance addiction will come forward to get the treatment they need. Opioid addiction is one of the only medical conditions in which doctors keep trying the same methods over and over again, even if they are failing to be effective. With any other disease, if a particular treatment doesn’t work, doctors will try alternative methods. Opioid addiction should be no different. 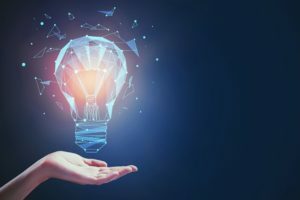 It will take a concerted effort on the part of doctors, pharmaceutical companies, and addiction treatment specialists to remove the stigma surrounding this vital treatment method. Only you can make the final decision as to which type of addiction treatment is right for you. Of course, your doctor or addiction treatment specialist can help guide you in this process and provide you with the information you need. In the end, however, it is up to you to commit to your recovery, whatever shape that takes. Here at the Riverside Recovery Center, we provide both MAT and non-medicated treatment options to help you battle your addiction. We incorporate individual and group therapy sessions to help you learn the tools and techniques you need to have the best chance at being successful in your recovery. We welcome you to get in touch with us to learn more about our addiction treatment options. We’ll provide you with a free consultation to discuss your needs and preferences so that we can devise a customized treatment program for you. We are proud of the success that many of our patients have had after completing our programs, and we would love the chance to add you to that number. If you are struggling with opioid addiction, rest assured that you are not alone. We are here to help. Reach out to us today to get started. Entering into a substance addiction treatment program is the first step on your path to recovery so don’t delay in making one of the most important decisions of your life. We are ready to help whenever you are ready to receive it.